50%-100% bonus on Heathrow Rewards transfers to Virgin – sign-up promo now worth 4,500-6,000 miles! Heathrow Rewards, the loyalty scheme for shopping at Heathrow, has launched a 50%-100% bonus on transfers to Virgin Flying Club. The offer started on Saturday and is live on the Heathrow Rewards home page if you log in to make a transfer. The bonus applies to all transfers to Virgin Flying Club made between 1st December and 30th December. 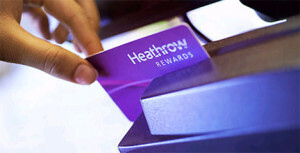 You can currently earn 3,000 Heathrow Rewards points by opening an account and spending £150 in one day. This is a very generous offer – as good as it has ever got with Heathrow Rewards. You can combine these two deals as long as you do your qualifying spend in the next 3 weeks or so. Open a Heathrow Rewards account, spend £150 in a day and you will receive your 3,000 points. Convert these to Virgin Flying Club and you will receive 4,500 miles as a base level member and 6,000 miles if you spend £750 and get promoted to Premium membership. The link to the 3,000 point sign-up offer is on the ba.com website here. Ensure you see code BAECAO18 on the application form. Whilst the deal is being promoted by British Airways / Avios, there is no requirement to send the bonus points there – you are totally fine to transfer to Virgin Atlantic and get the 50% – 100% bonus. Remember that Heathrow Rewards accounts are restricted to one per household so you cannot open another for your partner at the same address. Since when are Heathrow reward accounts one per household? We both have one and this is essential if converting from say Emirates as the Heathrow Rewards card needs to be in the same name. System used to physically block 2nd applications with the same address. Not sure if that has been relaxed. I opened one for my partner in September, so it can definitely be done. The T&C now only mention that you can have one account per person. You are also allowed to do transfers to another member 4 times a year. I think it used to be only once per year. we have 3 in our household. I opened all of them at different times. Should I hold off for 100% bonus on base member or that never happens? Can happen. If you don’t need the miles I wouldn’t hurry to convert – if nothing else you might get another 100% bonus on conversion to shopping vouchers. O/T BPme app – so I used it twice today. What a mess the app is! Luckily the PFS was quiet as I was sitting there for 15 mins trying to get it to work. First it wouldn’t connect so when I put in my pin code, it just sat in an endless loop. So I restarted my mobile and logged in again & got to a later stage, it was very slow & kept timing out & I had to key in my details 3 times (phone signal was strong) but finally I got to the pump & payment details. Not very intuitive, nowhere does it say to scroll up to input pump number or to tap etc. Found my own way in the end & it was easy enough to stop the pump at a bit past £30. Did it a second time & that went smoothly. But still *MUCH* more inconvenient than just going in to pay with my card. Plus of course I missed out on buying anything from M&S convenience store so I guess the franchisee is overjoyed with BPme. No success emails. Pending purchase of £35 is sitting there in both a/cs so I assume/ hope it’ll trigger the £10 credit once my actual £30+ payment goes through. Can someone explain what “heathrow rewards” actually is? It sounds like its a loyalty card for any purchases at Heathrow, so is it true the only way I can spend the £150 is if I go shopping in Heathrow for the day? I haven’t got anything booked via Heathrow before Christmas, and given the astonishing bad value of purchasing anything there I’m not sure how I can make my £150 target?? Can I purchase Christmas gifts or even consumables online, would that work? Nope, you need to go to Heathrow (airside or landside) and spend £150.